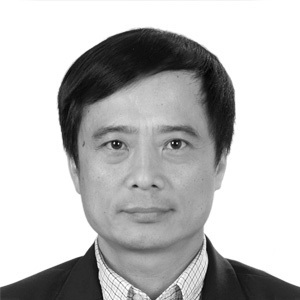 Dr. Zhang Ji (Jacky) is #TeamReal’s Chief Technical Advisor with significant experience leading research projects in China. Jacky founded Guangzhou Health China Technology Development Company Limited operating under the trade name Tech-New Bio-Technology (“TechNew”) as the result of collaboration beginning in 1996 with the Jilin Agricultural University and South China Agricultural University. TechNew is partnered with Real Hemp’s parent company, Stevia Corp., which formed Stevia Technew Limited in Hong Kong in 2012. Jacky led TechNew to a number of strategic achievements with successful and sustained economic growth in the development of specialized ecological fertilizers, microbiological preparations and management systems for the agriculture and aquaculture industry principally for markets within China. This also led to his ongoing participation in numerous agricultural, environmental, ecological, scientific and community development projects, in collaboration with national and international government agencies, universities, research institutes and private sector organizations. His previous experience included a period as chairman of a noted computer technology firm and a position on the board of a regional foreign economic relations commission as well as government service efforts. Education: He earned an MBA from the American Management University of Science and Technology (UMT), and Doctorate in Business Administration from the Victoria University of Switzerland / China, and was a visiting scholar at Harper Adams University (HAUC) in 2010.